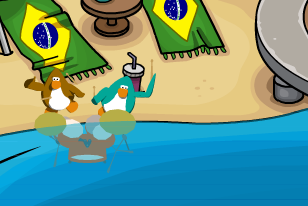 Club Penguin Muppets World Tour: Day 7 - Drum Drum! The Muppets World Tour has been going on for several days and now today is day seven! Today, we're supposed to find Animal and complete the challenge for today. 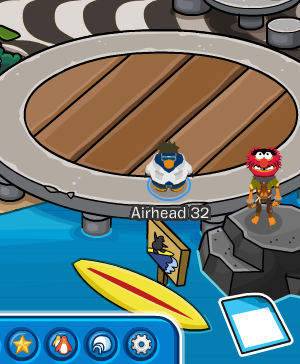 Click 'Find Animal' and you'll see Animal standing on a rock on the right side of your screen. 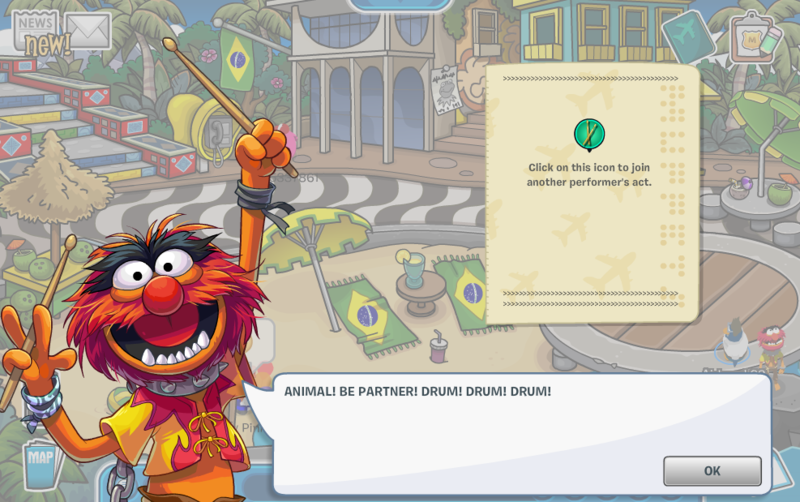 Basically, he talks to you and he tells you to get the drumstick item, find the partner and play the drums with them. Find someone and once you do it should look something like this.